Looking for the perfect fun, exciting and unique space to have your next celebration? Bachelorette Parties, Zumba® Mixers, Birthday Parties (KiDS ages 5+), Belly Dancing, Girls Night out, Bar Parties, Hip Hop Parties, Fundraisers! 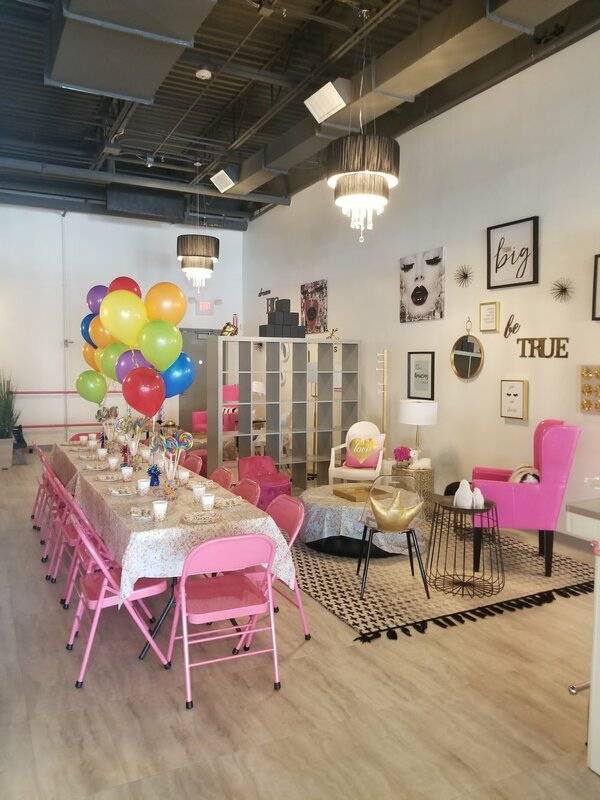 the possibilities are endless with our large beautiful space, equipped with a lounge and a variety of classes and events to offer these are some of our favorite parties to host. We would be happy to set up the décor and the finest catered food with your package ! Have your unique party with us!! Learn a choreographed dance customized for your needs! Includes customized choreography, edited music, and lesson(s). ask about how you can host your next event or meeting at our studio too!